Born: 15 June 1874, Worcester, Western Cape, South Africa. Died: 2 July 1945, Pretoria, South Africa. Bertram de Vos Heatlie, son of Thomas T. Heatlie and brother of the civil engineer Arthur Heatlie*, was educated at the Diocesan College, Cape Town, and passed the matriculation examination of the University of the Cape of Good Hope in 1896. The next year he passed the university's Survey Certificate examination. 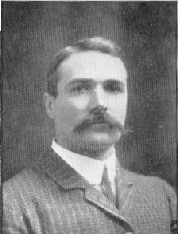 After being articled to the firm Fletcher & Espin of Bulawayo (see William M. Espin*) he was admitted to practice as a land surveyor in the Cape Colony in 1899. From that time to 1901 he was an assistant to Alexander Simms* on the geodetic survey of Rhodesia (now Zimbabwe). The next year he and a partner established the firm Heatlie & Van Breda, which was situated in St George Street, Cape Town until at least 1911. In 1903 Heatlie assisted Major H.D. Laffan* in completing the demarcation of the boundary between German South West Africa (now Namibia) and Botswana. From February 1904 he was engaged on the secondary triangulation of the south-western parts of the Cape Colony for several years. During this period, in 1905, he applied for a prospecting permit covering crown land near Franshoek. Heatlie died as a psychiatric patient in Weskoppies Hospital, Pretoria. He was survived by his wife Gladys Irene Heatlie, born Tilney, and four children. Cape of Good Hope. Report of the Surveyor-General, 1899. General directory of South Africa, 1908-1911. National Archives Repository (TAB), Source MHG, Vol. 0, Ref. 3325/45: death notice, Bertram de Vos Heatlie. National Automated Archival Information Retrieval System (NAAIRS). http://www.national.archives.gov.za/naairs_content.htm Documents relating to Heatlie, Bertram de Vos / Heatlie, B de V.